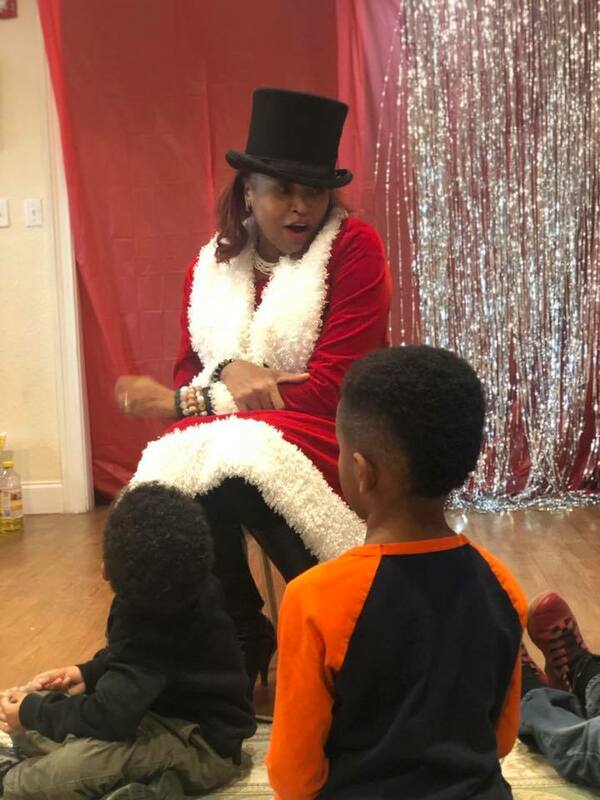 Genma Stringer Holmes will return to Inside Her Story with Jacque Reid on Friday, December 20, 2018 to talk all things Christmas on XM Channel 127 from 2-3! This segment has become a tradition for Ms. Santa who believes in helping others not only at Christmas but year round. 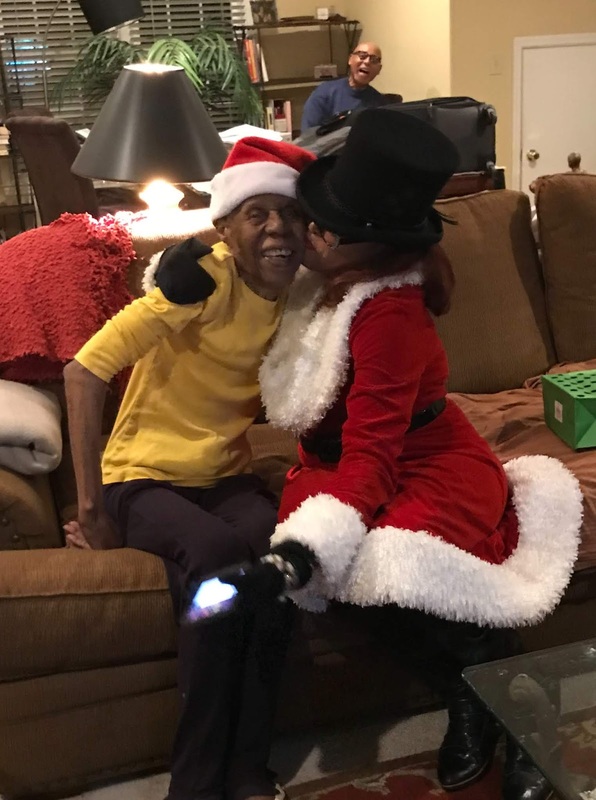 We will talk family and faith and how Christmas 2017 changed her after the loss of her grandmother. In 2018, she has been helping make Christmas memories for the elderly members of our community. 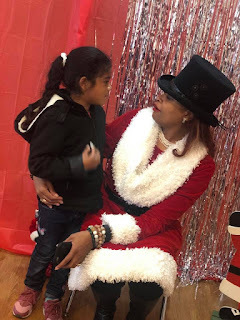 Genma aka Ms. Santa has been more inclusive of our aging populations and being as attentive to them during the holidays as she is with young children. She talks last minute gifts ideas for children that includes hot toys that will not break the bank. 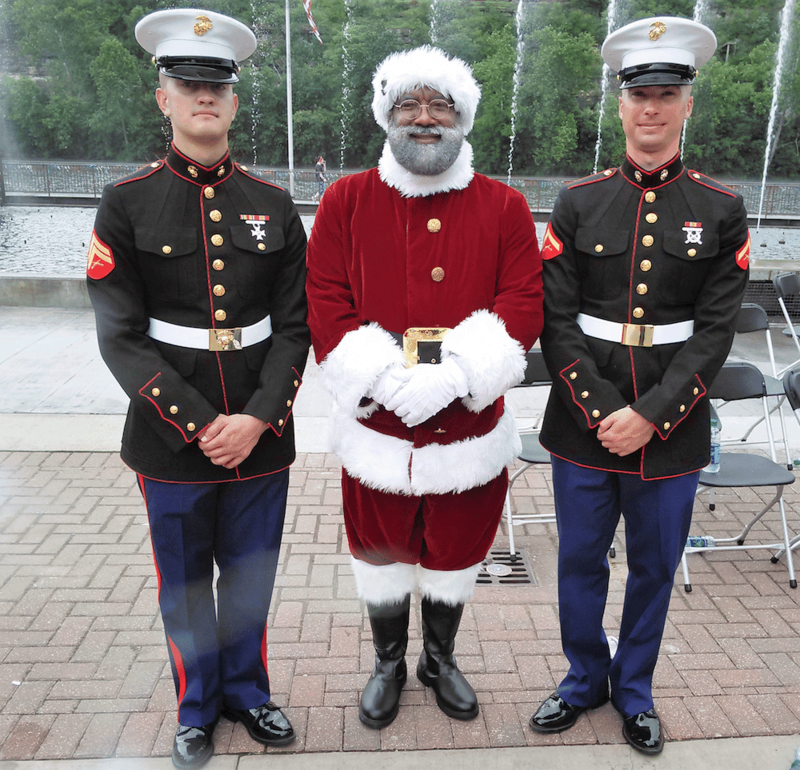 Ms. Santa also encourages ways to give back, building traditions by serving others, especially our military families, and supporting non-profits that have proven track records for making a difference in our community! In the early years of social media, it was a tool used to share stories that were under reported in mainstream media. Now, social media is where mainstream media looks first for great stories, especially stories that uplift and motivate us. 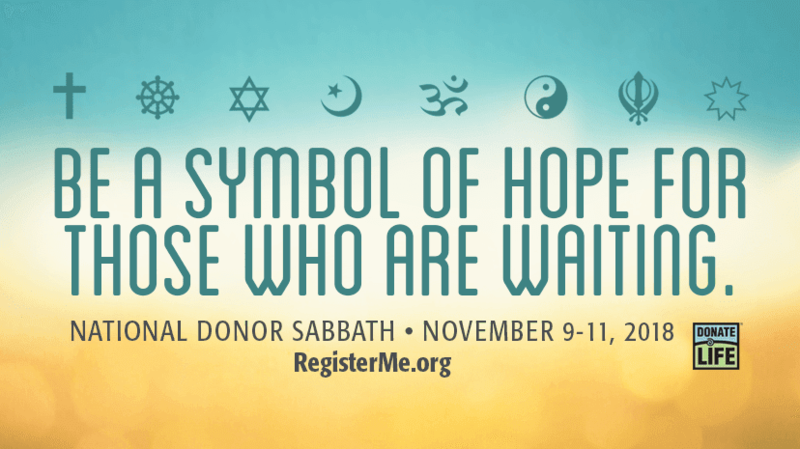 Our sisterhood had a social media encounter that was not only inspiring, but was informative and continues to give hope to the multitudes who are waiting to receive an organ transplant. Our social media inspiration gave the world a glimpse into the lives of two families who are truly living out the meaning of friendships for life! 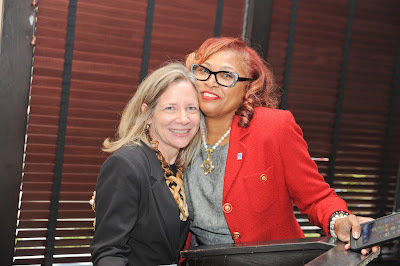 Life long friends, Sheryl Sutton Smith and Angela Watkins, are not only members of several civic organizations but they are also sorority sisters as well as Spellman College sisters. 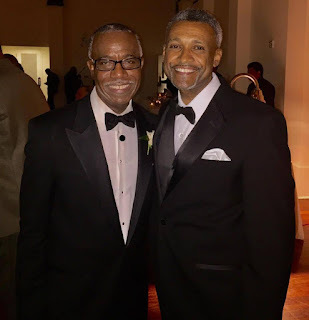 Their husbands, Clint Smith, Jr. and Judge David Watkins, are Morehouse Men. All who love them know the depth of their friendship. 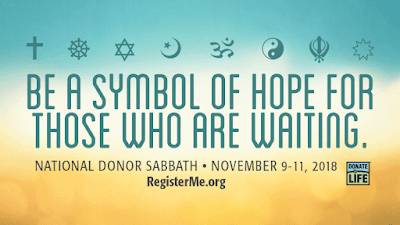 But a post on social media made their friendship known around the world and help energized many registration drives during November and ignited hundreds to participate in Donor Sabbath. The media highlighted their friendships and how their collective impactful has change lives in their communities and beyond. 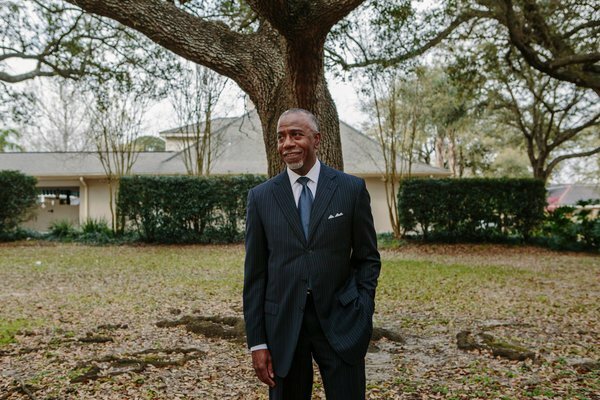 On March 9, 2016, The New York Times featured Clint Smith, Jr. on the front page educating the world about a new transplant procedure that saved his life. 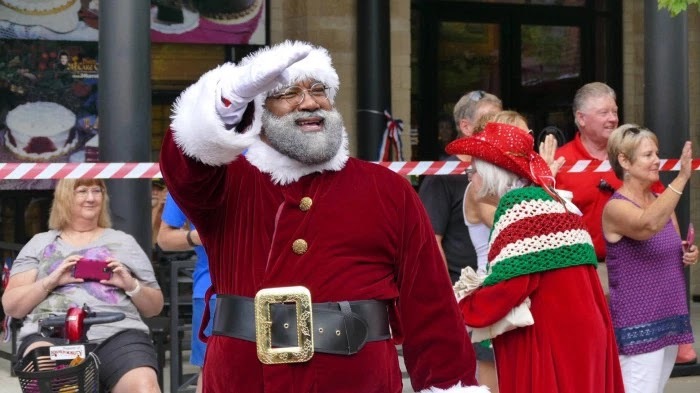 The link to the story was posted on several social media pages and went viral throughout many national volunteer organizations within days. 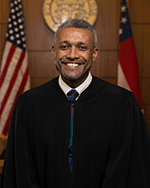 Mass media outlets picked up the story which led to thousands hearing for the first time from, Judge David Watkins, Clint’s donor. 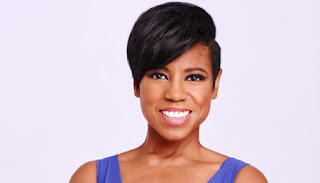 He shared his powerful story on Living Your Best Life Radio. Fueled by the number of shares on social media, several media outlets dug deeper into not only the history of the Smith-Watkins close bond but the importance of having advocates give testimony to life changing medical breakthrough in layman terms. The powerful interviews of the donor and the recipient also gave many families and close friends an opportunity to have open and honest conversations about organ donation, healthcare, and wellness. The collective interviews also revealed the power of faith in action. 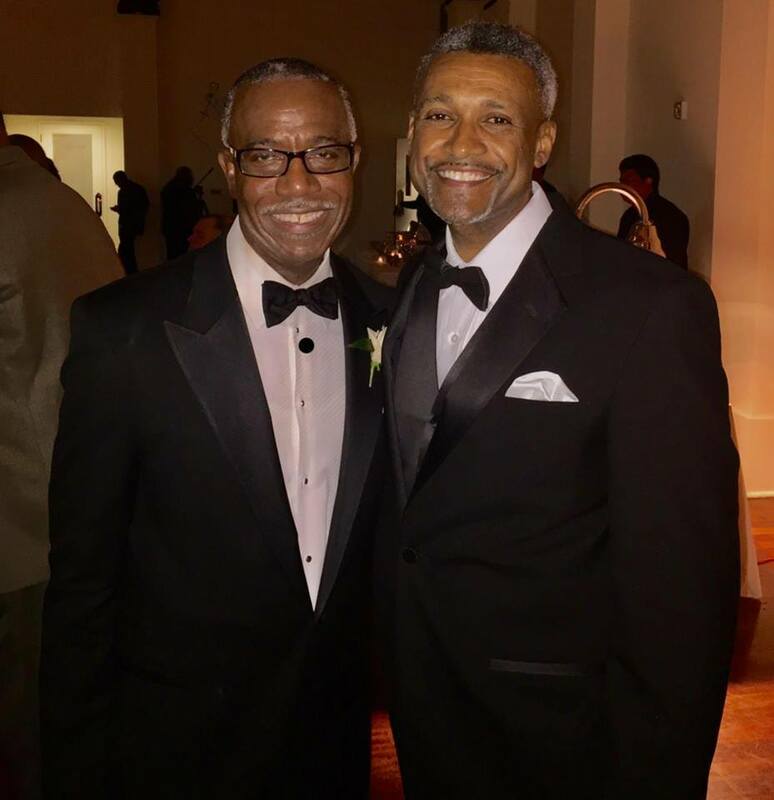 The story of the Smith-Watkins families friendship has inspired our many to be proactive on social media sharing positive stories about organ donation. 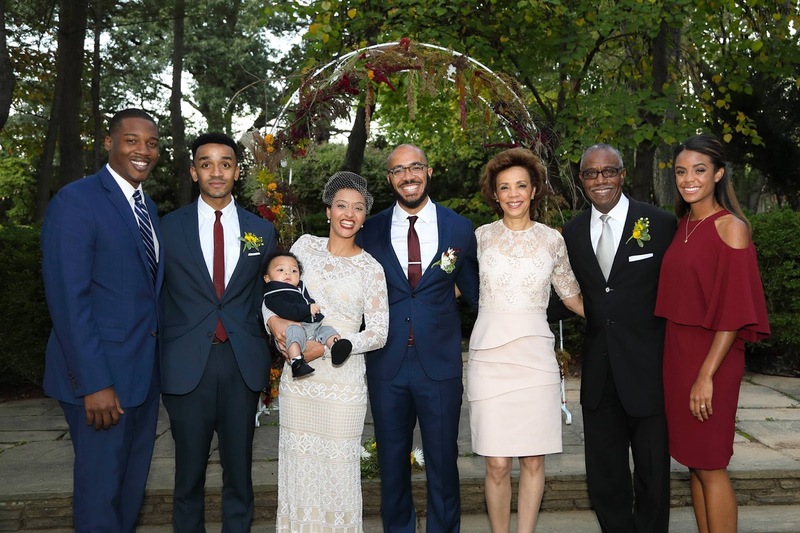 Since the first reporting of their story, there has been a steady increase in online sharing of organ donor-recipient relationships in the communities of color that engage, inform and educate readers around the world! 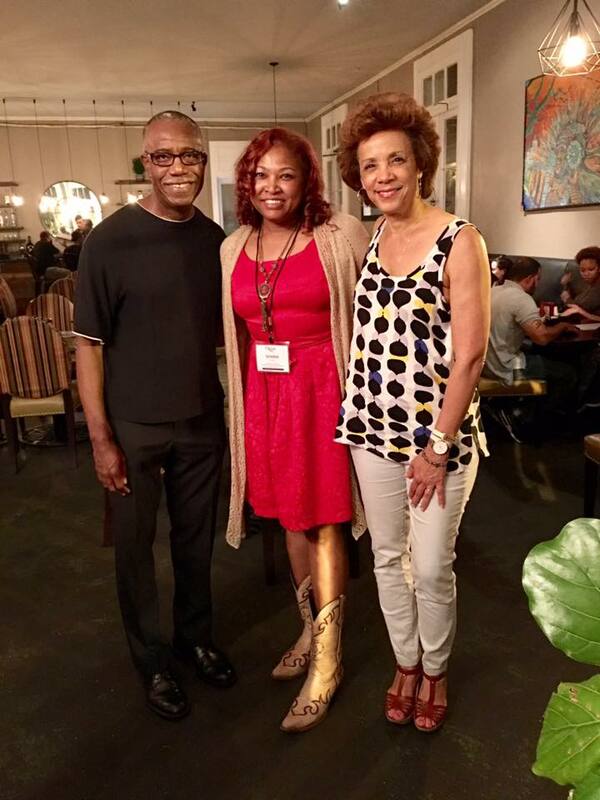 After nearly two years of calls, emails, and texts, Clint, Jr. Genma, and Sheryl met for the first time in person in New Orleans on August 4, 2017. Genma Stringer Holmes graces the November cover of Cerese D! 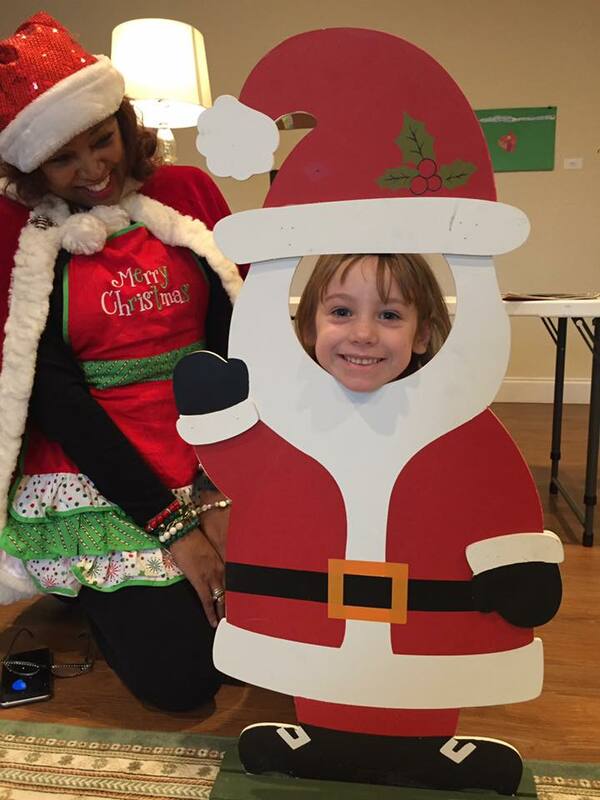 What a way to usher in the colors and fashions of Fall and the season of gratitude and giving! 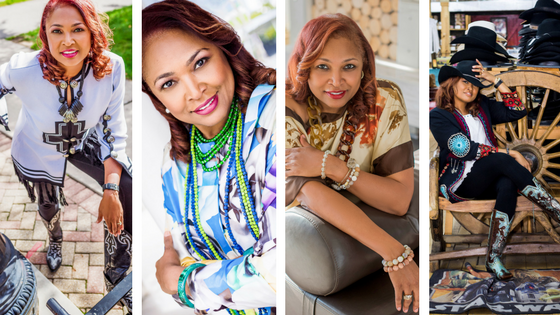 To read more about a serial entrepreneur and to shop the new bright colors click HERE. 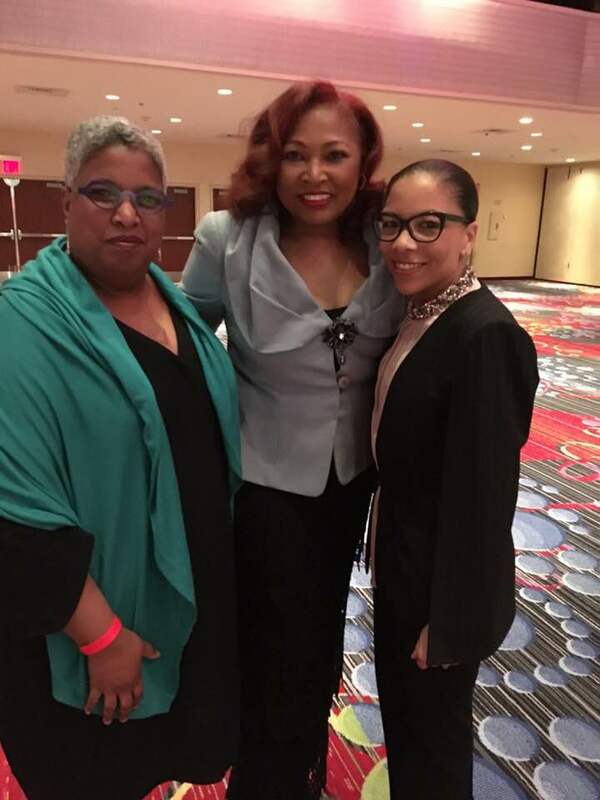 On Friday, March 16, 2018, The Network Journal, New York's leading Black professional and small-business magazine, presented it’s annual Influential Black Women in Business Awards at the New York Marriott Marquis. TNJ's 25 Influential Black Women in Business Awards is one of New York City's most prestigious events. 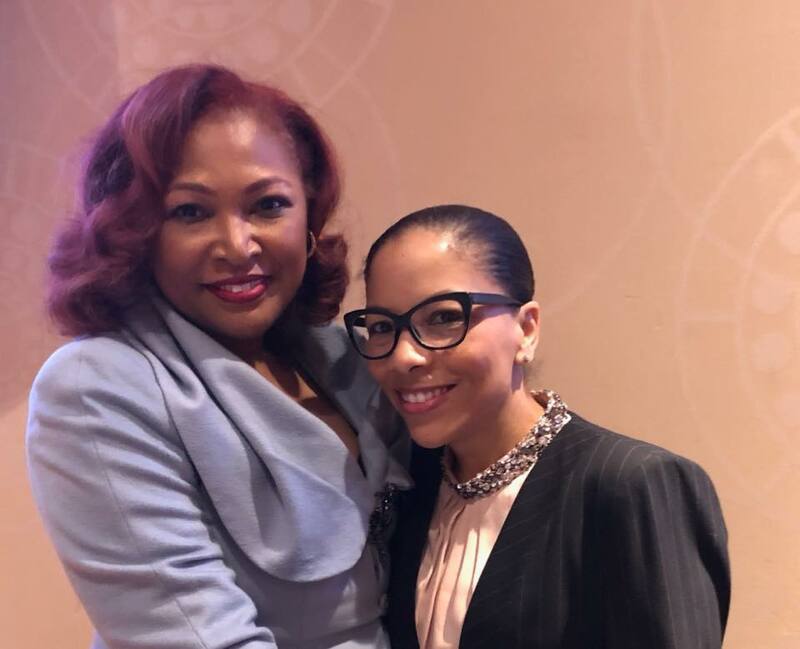 For the 20th consecutive year, this Luncheon event has been recognizing most successful Black women. This year's 25 deserving women were chosen from hundreds of nominations from the ranks of professionals and entrepreneurs. They were honored at an exciting program. Multi-Emmy Award winning journalist, Brenda Blackmon, was the Mistress of Ceremonies. 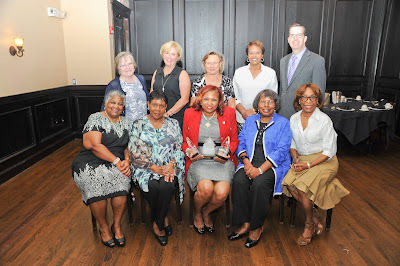 TNJ celebrated women who are redefining excellence. 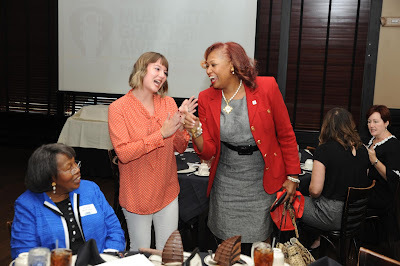 As always, there was plenty of humor, anecdotes and the opportunity to renew acquaintances and network. It was an afternoon many won't soon forget! “The women we honored in the 20th year of the awards span occupations, industries and expertise, and they share the same traits when it comes to their career and community service: passion, drive and focus. We salute them for achieving significant levels of success in their businesses and professional careers and for their myriad contributions to their community,” states TNJ Publisher and CEO Aziz Gueye Adetimirin. 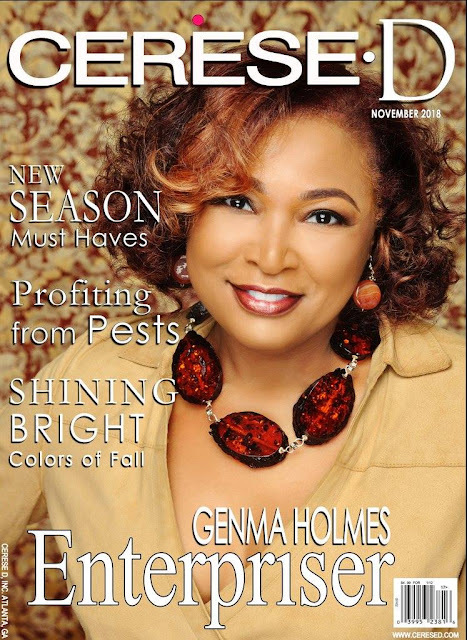 Former TNJ 40 under Forty honoree and longtime supporter of TNJ, Genma Stringer Holmes, owner of Holmes Pest Control and GSH Media, was in the class of 2018 honorees. 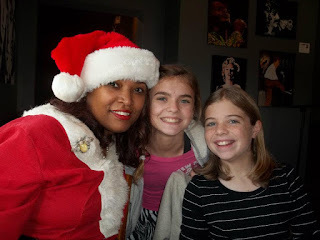 "When my friend Azia contacted me to share the news, I could only think of my grandmother. I dedicated the honor to her and received it knowing she was there with me in spirit. I was deeply humbled by the recognition and was extremely grateful to be included in this year's class. 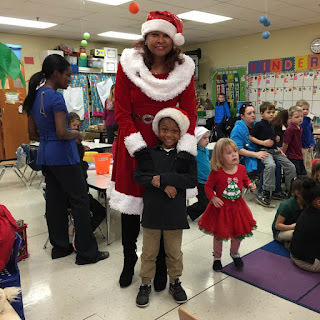 You could feel the positive energy that flowed between us! 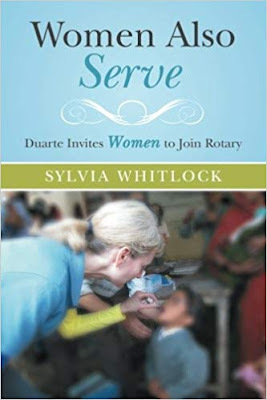 I have was in awe of our collective network and how dedicated each one was in their community. I am so thankful to the committee and TNJ for such a wonderful experience," stated Holmes in a recent interview. This select group was profiled in the Spring 2018 issue of the magazine, and was formally honored during Women’s History Month at the 20th Annual 25 Influential Black Women in Business Awards Luncheon, presented by Morgan Stanley, on Friday, March 16, 2018. This highly anticipated signature TNJ event was held at the New York Marriott Marquis Hotel, located at 1535 Broadway in New York City. 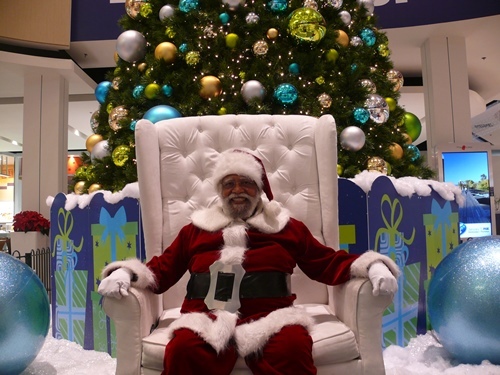 This year’s sponsors include Presenting Sponsor Morgan Stanley. 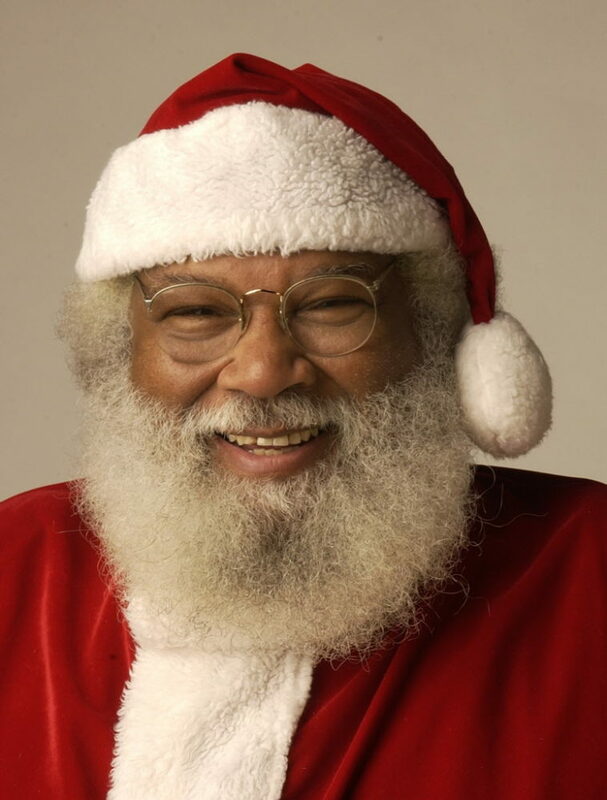 Additional sponsors include AT&T and Bronner Brothers. 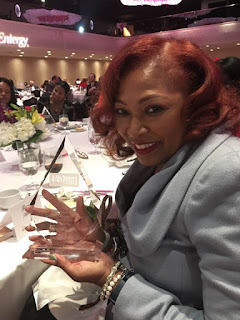 Launched in March 1999, The Network Journal's 25 Influential Black Women in Business Awards honors women whose professional achievements have significantly impacted an industry or profession, and who also have made an important contribution to her community. 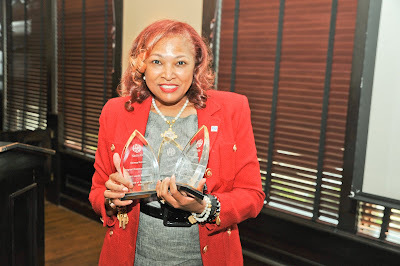 A "TNJ25" honoree typically is a business owner, or a partner, president, CEO, board chair, or other senior-management executive with significant decision-making authority in the corporate, nonprofit (including academia and medicine), or government sector. 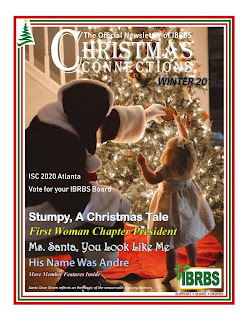 Founded in 1993, The Network Journal (TNJ) is an award-winning magazine published quarterly. It provides news and commentaries on issues that affect the growth of business and the advancement of professionals in the workplace for an audience of predominantly African-American professionals, corporate executives and small-business owners. Engaging more than 98,325 readers per issue, TNJ is distributed nationwide, with a focus on the New York tri-state area, while its daily digital edition at tnj.com reaches a global audience. Visit web site at http://www.tnj.com. 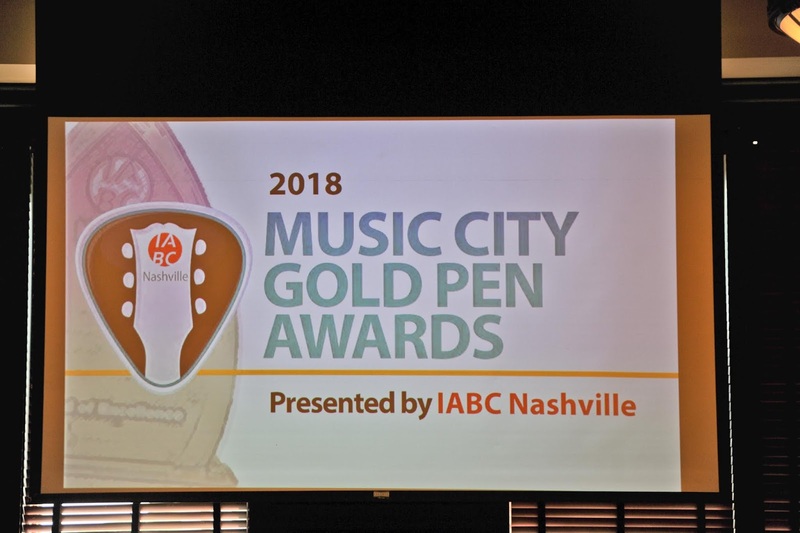 The International Association of Business Communicators (IABC) Nashville Chapter presented the 2018 Music City Gold Pen Awards on Sept. 20, 2018 in Nashville, Tennessee. 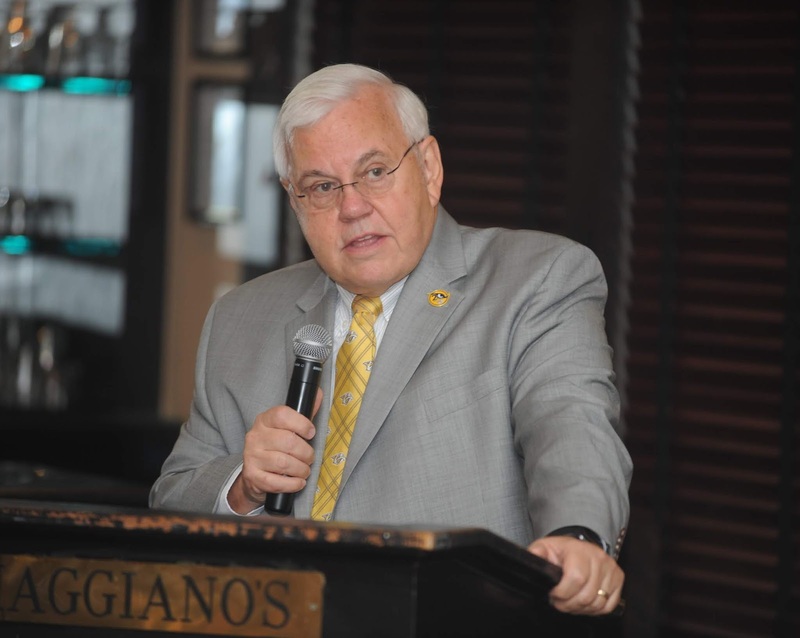 Pete Weber, the Voice of the Predators who is beginning his 21st season as part of the Nashville Predators broadcast crew, presented 28 awards in categories ranging from internal communications to social media programs. 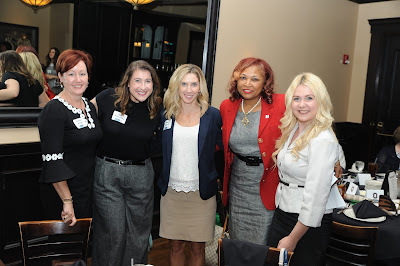 Photos from the event are posted on Nashville.IABC.com. 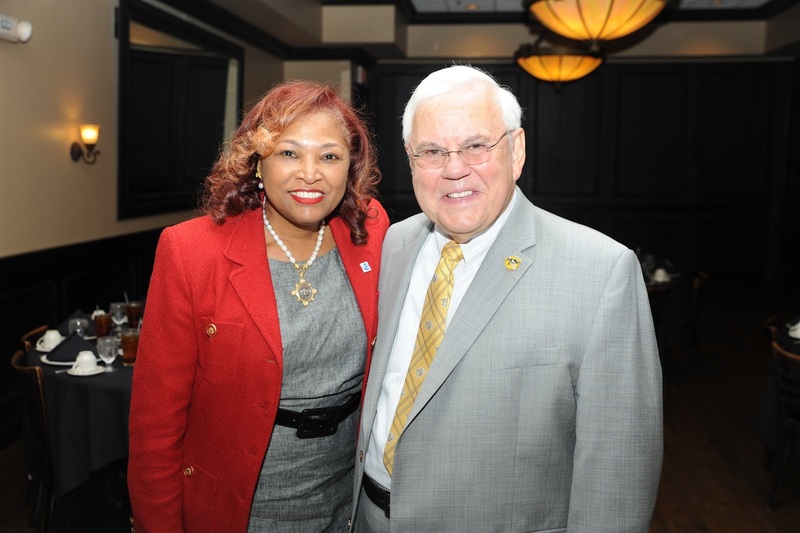 Genma Stringer Holmes and Pete Weber, the voice of the Nashville Predators. 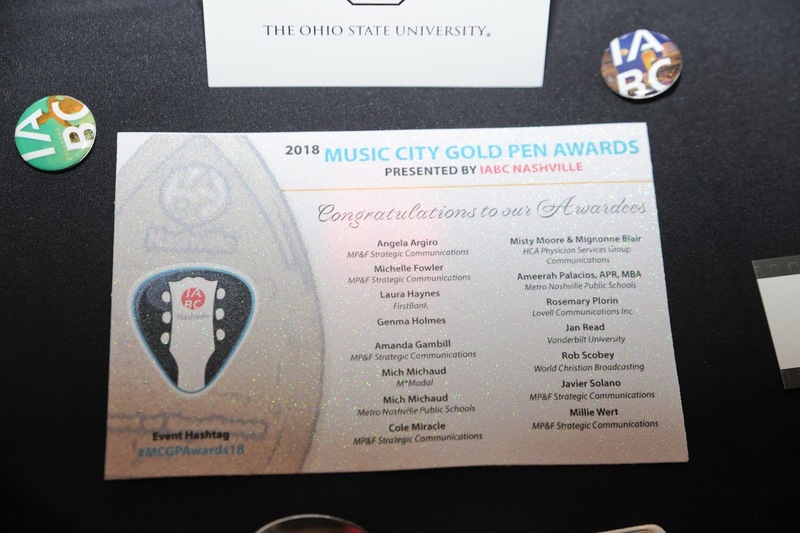 Rosemary Plorin, Lovell Communications Inc.
Genma Stringer Holmes, the owner of Holmes Pest Control and GSH Media, won three Gold Pen Awards for Excellence in Communications for her work with The Ohio State University. She won in the division of communications research, digital communication, and social media. 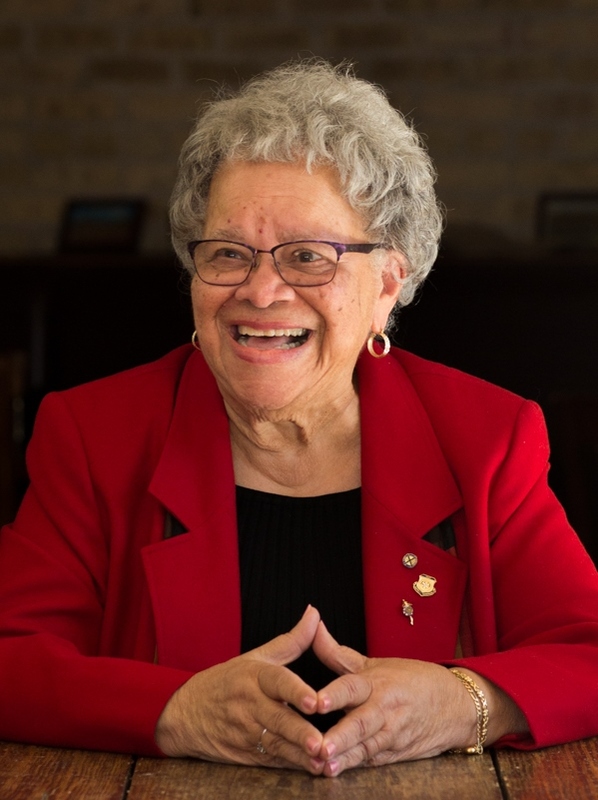 Genma shared later, "It was an honor and privilege to work with the researchers at the Martha S. Pitzer Center for Women, Children, and Youth at The Ohio State University College of Nursing. 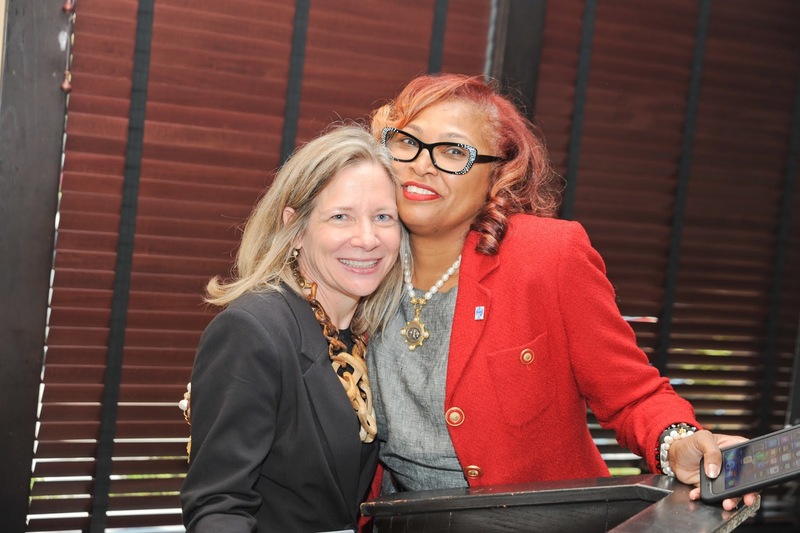 I am so thankful for Dr. Karen Patricia Williams and her guidance throughout the project with the university and beyond. 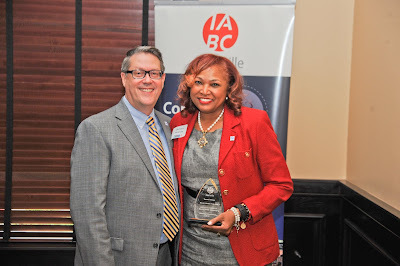 To receive recognition by IABC who sets the global standards for communicators is more than I ever hoped or imagined. It was a beautiful day and to have so many friends from near and far to be in attendance to show their support will always be cherished by me." 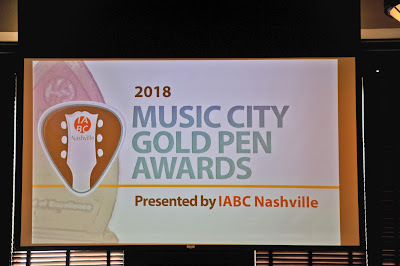 Visit Nashville.IABC.com to learn more about the Music City Gold Pen Awards, IABC Nashville, and our professional development luncheons and networking mixers. Connect with us on Facebook, LinkedIn, and Twitter. 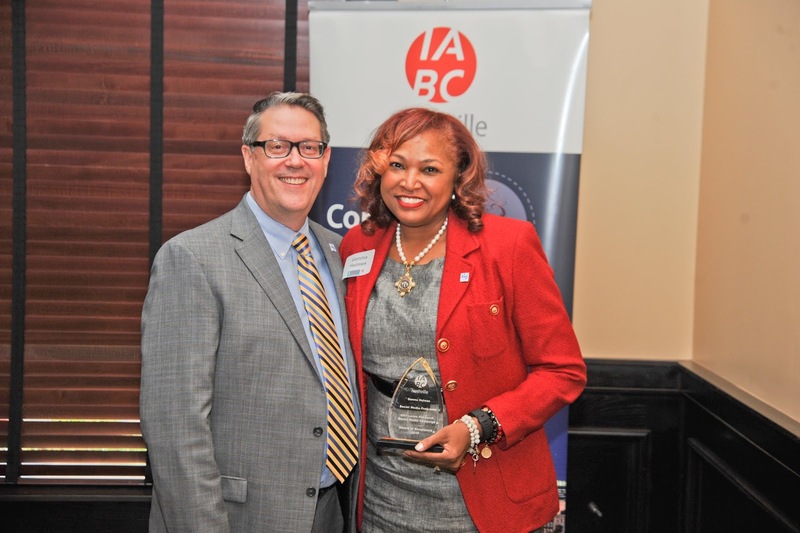 IABC Nashville is one of more than 100 chapters in 70 countries providing learning opportunities for its members and professional development sessions that offer new insights into the latest communication trends, technology and issues facing the industry. The chapter is diverse, with members representing area agencies, broadcast stations, corporations, universities, businesses, and nonprofit organizations. IABC Nashville also offers ties to job bank services and the annual Music City Gold Pen Awards program. 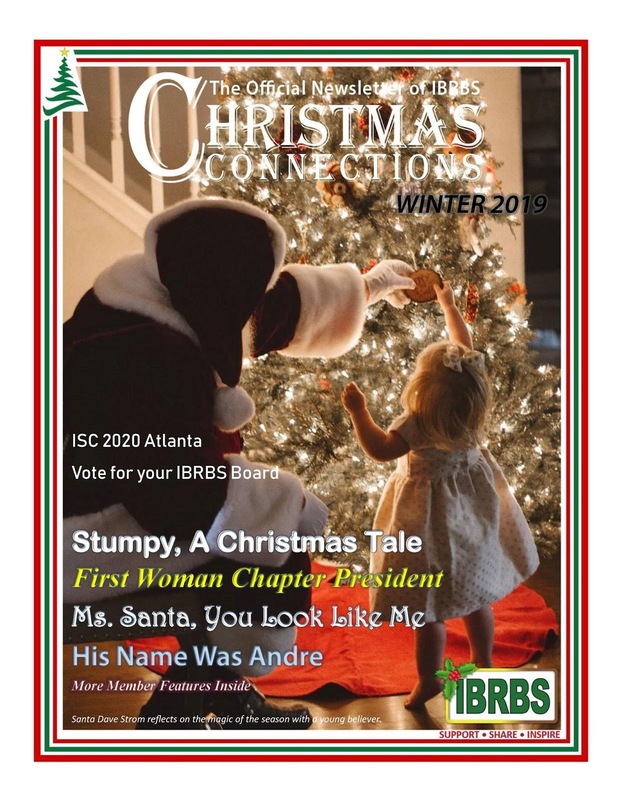 IABC is the only place to connect with communicators globally. On a visit home to spend time with my grandmother last summer, she lovingly took my hand after looking at me for what seemed like an eternity and said, "Baaaaby, that stress is gonna kill ya. 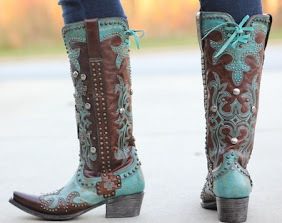 You are looking like a worn out shoe. That stress gonna turn ya ugly from the inside out. You hear me." My vanity kicked in immediately and I replied back with a laugh, "Mother, well I need to make some changes quickly because we don't do ugly, right? Our playful banter stayed with me long after I left my hometown. If my grandmother was bothered, it was not good! 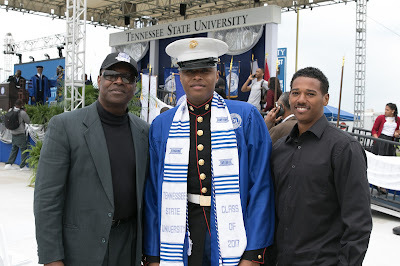 My son at his graduation before being deployed. At that time, my family was in the middle of two deployments a few weeks apart and we had a college graduation right in the middle. 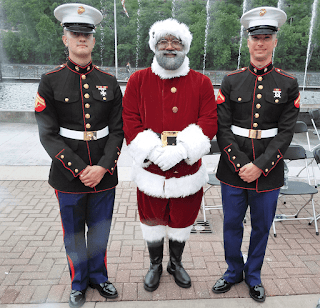 My youngest son, USMC, and my nephew, Army, were headed overseas and I felt the weight of the world on my shoulders. The aching in my heart had penetrated my bones. My baby boy was "chosen" for a special mission and he needed his family support. I needed to be upbeat because he did not need to see me falling apart. I spent weeks wrestling with fear and worry and tried not to show it. I would lock myself in my closet praying for his protection and safety. It was during this time, fellow Marine moms called me up to tell me to "walk it out." "You got to shake this and be strong," I was told. I took my stress levels seriously and took inventory of what was bringing me joy and what in my life that was throwing me out of sorts beyond my son's deployment. I also went for my annual check-up. After my exam, my doctor voiced sternly what I knew, "Stress and high blood pressure can led to a stroke or heart attack. You must do better." She was right! I immediately started corrective actions. I stepped up my game and began walking with bolder, more determined steps to help decrease my stress levels and to rid myself of the extra baggage in head. My extra baggage came from many factors and I addressed them one by one. I put my volunteering life on a diet and started managing who and what entered my sacred space. I even paid attention to my media consumption. I could only watch #Maddow twice a week! 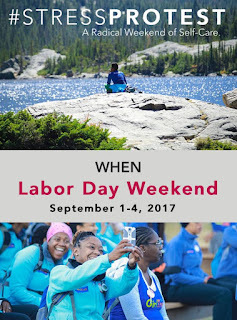 In my attempts to be very radical about my stress, on Labor Day Weekend in 2017, I joined hundreds of Black women in the mountains of Colorado to stage a #stressprotest. 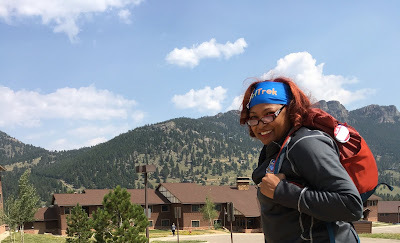 Members of GirlTrek flew to the Rocky Mountains from all over the world! There are no words to describe accurately the magic that happened on that mountaintop. We spent the four day weekend reflecting, being nurtured, resting our weary souls, rejoicing at the breathtaking views, absorbing the serenity of the mountainside and relishing in the peace and tranquility found at Estes Park'sYMCA. We vowed to take care of ourselves and to put health first. Since my weekend in the mountain, I have traveled to meetup with several members of GirlTrek who have staged #stressprotest weekends on hiking trails and mountains to reclaim their minds and health. For those who did not attend the event in the mountains, they had hundreds of #stressprotests in their own neighborhoods. The #stressprotest was covered by nation media outlets, online, print, and radio, and thousands on social media cheering for women, Black women, wanting to take care of the themselves by dumping stress! At Living Your Best Life Radio Studio. Saturday after the show walk with Grand Prince. In the spring of 2018, I joined 100,000+ Black women who took the GirlTrek's Harriet Hall of Fame: 100 Mile Challenge to take charge of our health by addressing issues that maybe self-inflicted, environmental, work related or relational that can take a toll on our physical and mental health. My Marine cheering me on after a walk! This story was previously published in February 2018.